There was once a point in time where you were either a mom or you worked but the thought of having both was unheard of! Today’s moms are finding ways to incorporate both family life and work life… Who said you can’t have the best of both worlds! Now, having the best of both worlds is definitely not something that comes easy either. Being a mother is already a full-time job and to add a career on top of that can be daunting for the best of super moms but it’s also very do-able… you just have to have the right mindset and resources to make it all possible. Whether you’re a mom who runs your business from home or if you have a physical store, surveys have shown that there are more and more women in the workforce. In fact, the Center for American Progress states that of all workers in the U.S., women make up half of that population. Now, there are jobs easier for work/life balance but what if you don’t work any of those types of jobs? What’s a career-minded mother to do? That’s when you start taking matters into your own hands like the true boss that you are! As a working woman, mother, spouse, and individual, you certainly have a lot on your plate and in order to fill all of those roles, there are things you have to do for your own sanity. Just how you have to do things in preparation for an important meeting, you can take that same work ethic and apply it to your family and personal life too. We’re going to take a look at some of the efforts working mothers make to have a healthy work life, family life, and personal time too. As a mom, your top priority is your kids, right? Of course! So finding someone that you can trust to take care of your children while you work is your top priority. A lot of working moms opt for hiring a nanny. Now, this option might sound a little scary at first but it’s actually a great solution for childcare. If you work from home, your nanny is in your close vicinity to keep an eye on them to see the quality of care they provide. 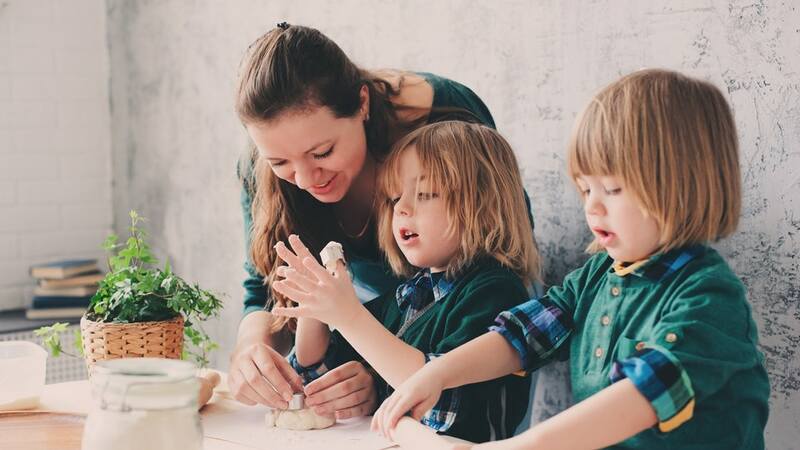 Even if you work away from home, it’s still a better option because that nanny will be able to provide care and attention to your child/children and not ten other kids like at a daycare center. If you do opt to go with a nanny, you’ll first want to find a reliable company with nannies that have good reviews about the care they provide. Once you found one you like, go through the interview process and get them set up legally. You will then be able to add another title to your name, and that is “household employer!” You go girl! Sometimes we make our own lives hectic by poor preparation. When it comes to poor preparation, whose fault is it really? It’s our own fault most of the time. That’s why in order to really have it all during the day, you have to prep for it at night. These may sound like mundane tasks but you won’t believe how much smoother your day will go when you have these things done ahead of time. Having these things done will buy you a little extra time to enjoy breakfast with your family! A lot of working mothers have feelings of guilt in the aspect of not being able to spend as much time with their family. That’s completely understandable but instead of getting stuck in those feelings, look at how your working positively contributes to your family. Forbes.com commends working mothers on a job well-done and encourages moms to let go of those feelings of guilt and to replace them with feelings of empowerment. Let’s face it, you’re brilliant but you are also human and you forget things sometimes. Creating a family calendar of events each month will help your family overall figure out what goes on each day. Whether it’s extracurricular activities or chores that need to be done, having everything written down on a calendar will be helpful to everyone in your household! Yes, you’re “super mom” and your super powers include loving your family. Well, as a super mom, you need love too; that’s why you have to make time for your partner. You know that nanny you hired a few paragraphs above? Schedule her for some extracurricular activities for you and your partner too, not just for work. You can’t take care of everyone else and forget that you need to be taken care of sometimes too.